Our goal is to connect people with the best local experts. We scored wedding photographers on more than 25 variables across five categories, and analysed the results to give you a hand-picked list of the best wedding photographers in Fort Lauderdale, FL. Adept Wedding Photography serves brides and grooms in Fort Lauderdale with wedding photography. The team is a division of Danny Steyn Photography / Adept Studios and offers a fun and avant garde style of photography as well as traditional photos, photojournalistic style, and casual beach wedding photography. Clients have various packages to choose from and can check out portfolios of past weddings online. Adept's lead photographer has shot over 1,000 weddings. AP Photo & Video has been a Fort Lauderdale wedding photography company for 20 years. The group operates Affordable Pro Photo & Video, which uses digital photography for cost savings and personally trains all photographers and videographers on its team. Couples can choose between a number of various packages including engagement shots, and AP Photo also handles LGBTQ weddings, portraits, commercial services, mitzvahs, and nature and wildlife photography. Chris Kruger Wedding Photography has been a West Palm Beach wedding photographer since 2009. The team aims to create tangible memories in crisp, clean, and natural shots and tries to make couples feel as comfortable as possible in front of the camera. The couple decided to become wedding photographers after their wedding and won the 2013 and 2014 Pick for The Knot Best of Weddings. Engagement sessions are also available. Chris Sosa Photography is a Miami wedding photographer, which specializes in outdoor weddings. Photographer Chris Sosa asks to meet couples at an ice cream shop to get to know them and discuss their wedding, and couples are also asked to consider an engagement session to prep for the big day. Photographs are presented in a handmade leather album as their first story and family heirloom, and the company has been featured on WeddingWire, The Knot, and Bridal Guide. Cohart Photography is a Margate wedding photographer. The service handles full weddings as well as engagements, and clients can choose between five different pricing packages. The company seeks to work with all budgets, can create custom packages, and offers payment plans to couples. Photo sessions for bar and bat mitzvahs, senior pictures, maternity, other events, and portraits are also available, and Cohart has won a WeddingWire award three times. Couture Bridal Photography offers wedding photography services in Fort Lauderdale. Couples meet with the photographer to discuss the details of their day and will receive a quote at that time. The group's work is influenced by a combination of photojournalism, illustrative, fashion, and lifestyle photography. Couture Bridal also shoots Caribbean destination weddings and engagements and lists names of their preferred wedding vendors on its site. Payment plans are also available. Domino Arts is an event photography company serving all of Florida including Miami, Fort Lauderdale, and Palm Beach. Clients have access to elite photography and customer services and can build their own package online. Domino Arts also offers a list of venues and event day vendors on the company's site. Photo sessions for babies, portraits, mitzvahs, lifestyle, and corporate photography are also available. Emily Harris Photography is a Hollywood wedding photographer. Each part of a bride and groom's story is told in detail from engagement photos to the "I dos" to the celebration, and the studio's work has been seen on Style Me Pretty and It! Weddings Florida. Clients can also request "trash the dress" and boudoir shoots as well as photography for mitzvahs, lifestyle, and birthday smash cake sessions. The studio also offers photography workshops. My Bald Photographer offers wedding photography services in Boynton Beach. Most couples hire the studio for an engagement session as well as wedding day coverage, and the photographer typically treats clients to a Starbucks to discuss their day after an initial phone call to see if he is the right fit. For those who decide against using its services, My Bald Photographer will refer couples to other photographers it knows. The team has won five WeddingWire awards and has been featured on the BrideBox. Gloria Ruth Photography is a Weston wedding photography service. Couples hire photographer Gloria Ruth for her cinematic style and ability to tell stories through film. Ms. Ruth started out as an on-set independent film photographer, and Brides online called Ms. Ruth "One of the Best Wedding Photographers in Miami.” The group's work has been seen on The Knot, Borrowed and Blue, and Rustic Wedding Chic, and engagement sessions are also available. Photos by Rosy provides wedding photography in the Miami area. The company's owner also serves as a wedding officiant in the state of Florida as well as a notary public and has shot and has presided over more than 300 beach weddings. Clients can also request services at any venue as well as surprise proposal sessions. The group has won a WeddingWire Bride's/Couples' Choice Award for four years and the Best of Thumbtack in 2016 and has been seen in The Knot and on NBC News. Lara Rios Fine Art Photography brings 15 years in visual arts to Fort Lauderdale wedding day clients. The group is known for outdoor weddings and its use of natural lighting, and couples hire Lara Rios for romantic and timeless shots presented in a fine art book. Packages are created for each couple per their unique needs, and the studio's work has been seen in Weddings Illustrated, The Knot, Style Me Pretty, and The Wedding Chicks. Lovely Bee Photography photographs weddings in the Fort Lauderdale area. The studio has a reputation for being friendly, affordable, and professional, and couples receive an online gallery of their shots as well as on an optional USB drive. Lovely Bee won a WeddingWire Couples' Choice Award in 2016 and has been featured on Floridian Weddings and Beach Bride. Portraits and other lifestyle photography services are also available. Megaset Photography offers wedding day photos to couples in Boca Raton. 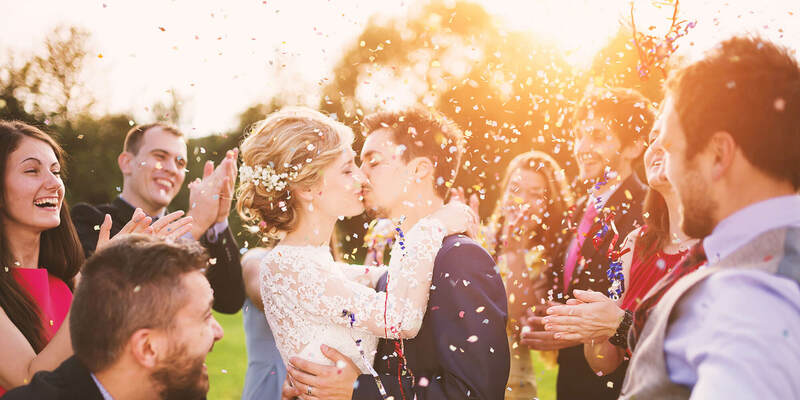 The service has a six-hour and an eight-hour package for wedding day coverage with options for a second photographer as well as for engagement sessions. All photos are presented on a CD, and cinematography services are also offered, although not together with photography. If Megaset is hired for filming a wedding, then clients need to look into a different photographer for their wedding day. Michelle Lawson Photography provides wedding day photos to Fort Lauderdale couples. The team of photographers captures life's moments in wedding as well as engagement sessions and also offers "'trash the dress," family, and pregnancy shoots. Filmography services are available as well. Full-day services are provided on the wedding day, clients receive all prints, and an online client gallery allows friends and family to download shots free for a year. Roy Llera Photographers is a Miami Shores wedding photographer with over 30 years of experience. The group is known for a style that combines fine-art, fashion photography, and fun and handles local weddings as well as destination weddings and engagement sessions. Roy Llera can also be hired for bar and bat mitzvahs, headshots, and corporate photography and has worked at and is recommended by properties such as the Four Seasons Hotels and Resorts and The Ritz-Carlton. Salman Photography is a Parkland wedding photography company. Clients use the studio for weddings and engagement sessions, and the photographer is known for a photojournalistic style and ability to capture emotions and special moments. Salman specializes in photographing shaadi, or South Asian, and other multicultural weddings and has been featured in South Asian Bride magazine. Potential clients can view a full portfolio of all past work online. Scribbled Moments Photography is a West Palm Beach wedding photography studio. Clients must make an appointment to discuss their needs and are asked to book services as soon as possible as availability is limited. The group won a 2016 Pick for The Knot Best of Weddings and is a Featured Vendor on The Knot. Its work has been seen in Borrowed & Blue and was Photo of the Day in the Bridal Guide Magazine. Videography is not available. Stella Image Photography brings almost 10 years of experience in wedding photography to Miami clients. The boutique specializes in high quality wedding and engagement photography and offers affordable packages for both wedding collections and engagement sessions. Services are also available for destination weddings in Jamaica. The team's editor attended The Art Institute of Miami for Graphic and Web Design. Traci Burke Photography is a Fort Lauderdale wedding photographer. Wedding photos as well as films are available, and couples have different options of packages to fit their particular needs. All retouching and editing of photos is done in-house and is included in the fee. Traci Burke won a WeddingWire Couples' Choice Award in 2014 and has been seen on The Knot, ABC Local WPLG, and on Borrowed & Blue.